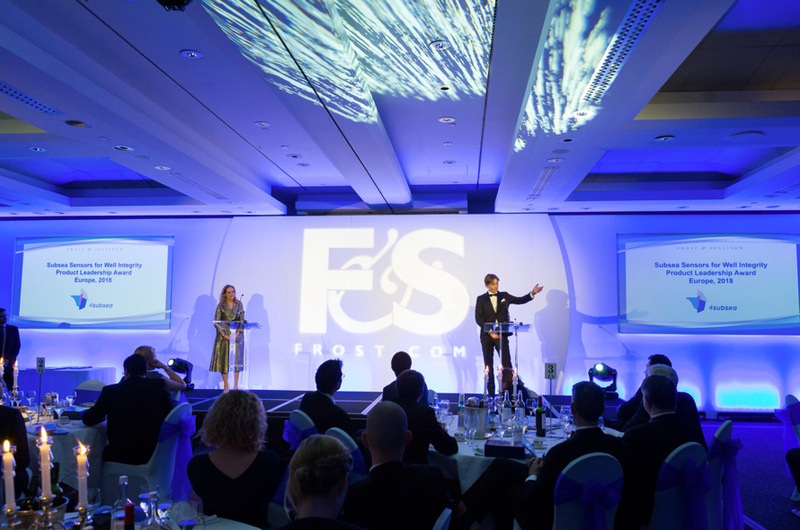 March 12th 2018 – CEO Peter Jenkins and EVP, Well Intervention and Drilling Ignacio Marré at the Frost & Sullivan Awards ceremony in London March 12th. 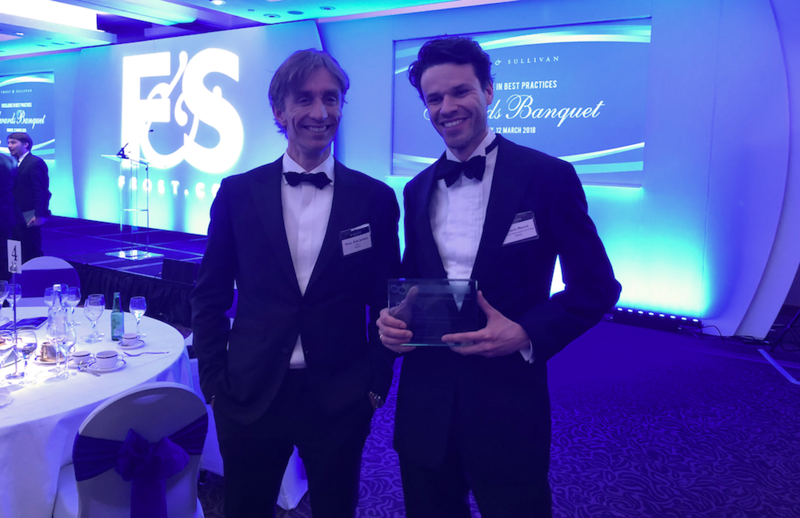 We are very proud to receive the Product Leadership Award for 2018 and of the great people in 4Subsea that have developed the solution; Our Sensor team in Kristiansand and the Well Intervention and Drilling in Asker and Bergen. Read more about the award here. CEO Peter Jenkins and EVP Well Intervention and Drilling Ignacio Marré. Frost & Sullivan’s Best Practices Awards are presented each year to companies that are predicted to encourage significant growth in their industries, have identified emerging trends before they became a marketplace standard, and have created advanced technologies that will catalyse and transform industries in the near future. Art Robbins, Americas President, Consulting & Senior Partner, Frost & Sullivan.